There’s strong evidence that an iPod touch is coming, even if it wasn’t announced today. Apple surprised everyone by launching two iPad models this morning. But there’s has been plenty of evidence that the company is about to release three more products that haven’t yet seen the light of day. This includes an updated iPod touch, improved AirPods and the AirPower charging mat. Update (March 20): Apple introduced the much-anticipated AirPods 2 with “Hey Siri” and better battery life. There’s still no sign of AirPower. 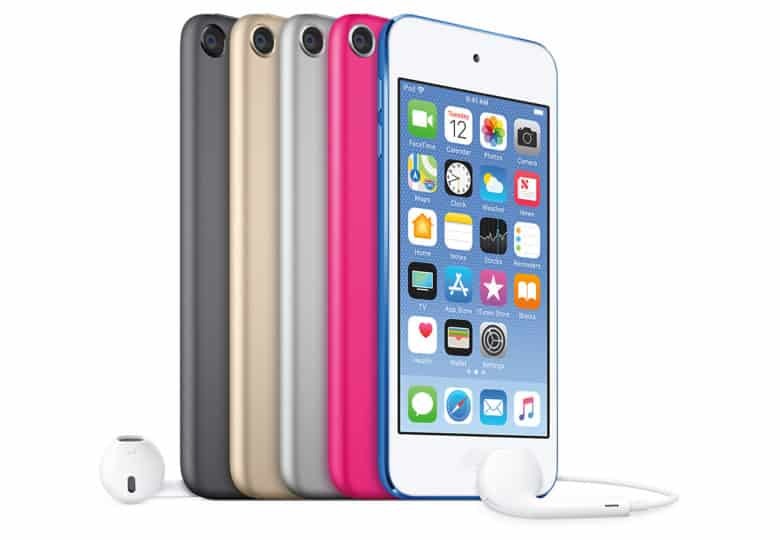 Whither the iPod touch 7? Several weeks ago, references to three upcoming devices were found buried in the iOS 12.2 beta. Two of these turned out to be the iPad Air 3 and iPad mini 5 that Apple announced this morning. But there’s no sign yet of the third, which iOS 12.2 describes as “iPod9,1.” That leaves little room for doubt that Apple’s prepping the first update to the iPod touch line since 2015. This is expected to be a basic device, as it supposedly doesn’t have either Face ID or Touch ID. The first rumors that Apple is reviving its micro-tablet appeared early this year. And there’s evidence it will be focused on gaming. Apple’s wireless earbuds are very popular, despite a launch date back in 2016. Still, anticipation of an updated version has been running hot and heavy in recent months. An unconfirmed report indicated that Apple AirPods will finally soon be available in black, instead of just white. They’ll also supposedly get a coating that will make them less slick, and they could offer fast charging. Other rumors point to support for “Hey Siri,” and an optional wireless charging case. Way back in 2017, along with the debut of the iPhone 8 and iPhone X, Apple took the wraps off AirPower, a multi-device charging mat. This was supposed to debut last year but we’re still waiting. The long delay is supposedly the result of developers running into problems with overheating. But recent unconfirmed reports indicate that AirPower and the new AirPods will launch soon. But not apparently as quickly as the two iPad models unveiled today, which are hitting store selves next week. It’s possible the three unannounced products will be part of the press event Apple is holding March 25. But that’s expected to be focused on the company’s streaming TV service, so new hardware would seem out of line.